Fall is an ideal time to add mulch to your landscape and trees. Mulching around your trees and garden provides several important advantages in keeping your trees healthy and thriving, even with the drought conditions in San Diego. Mulch, when properly applied around your trees, will naturally retain moisture. This allows the tree to slowly absorb this moisture over the following weeks. 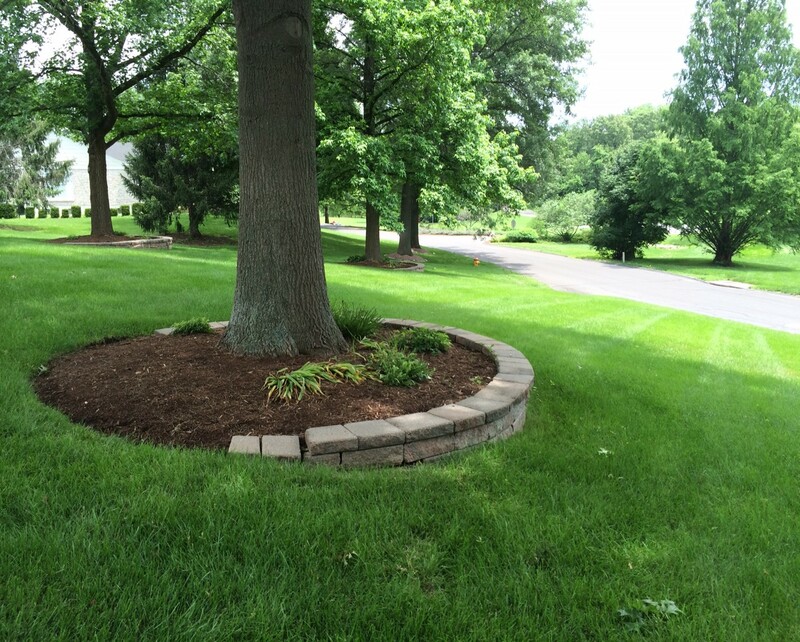 Mulch also reduces weeds around your trees and improves the overall soil structure. Mulch can be found at any big box home and garden store or a local nursery. It’s important to select an appropriate type of mulch to install around your various trees. There are dozens of types of mulch available, however they generally come in two categories – organic and inorganic. Organic and inorganic mulches each have advantages and disadvantages that should be considered. Organic mulch is made up of once living components such as wood chips, leaves, compost or pine needles. Organic mulch may offer key nutritional benefits for your trees, though typically doesn’t last as long as inorganic. When choosing organic mulch, it is best to select a mulch that originated in your general geographic area. This will ensure the acidity in the mulch most closely matches that of your soil, trees and garden beds. These nutrients will be more beneficial as they break down and are absorbed into the soil. Inorganic mulch consists of components such as rubber, pebbles, rocks, lava rock, recycled materials and other non-living elements. Inorganic mulch is typically longer lasting, and more able to withstand downpours and floods without being washed away. Before applying your chosen mulch, you’ll need to clear the base of the tree, remove weeds, rocks, other plants and other debris. The tree will reap the most benefit if the mulch is installed directly on top of the soil. With the base clear, simply spread your mulch around the base of the tree. Depending on the mulch, it may be beneficial to pack down the mulch with your hands to stabilize the area. 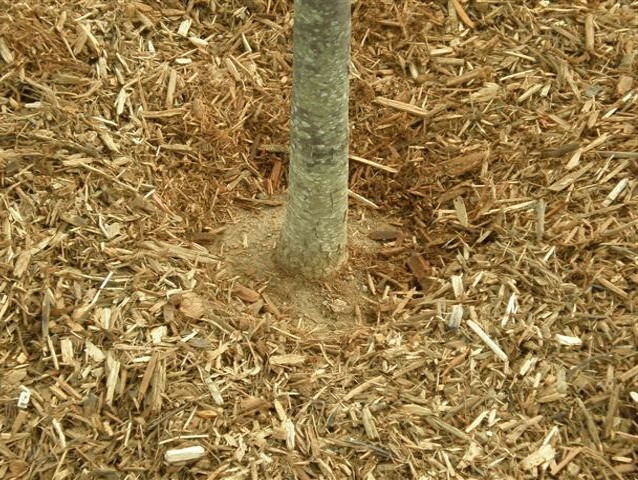 Ensure the mulch is applied around the entire base of the tree, expanding out at least 8-12” from the tree. Leave 2-3” of separation between the trunk of the tree and the mulch. Note: Applying too much mulch can actually have negative effects on your trees’ health. 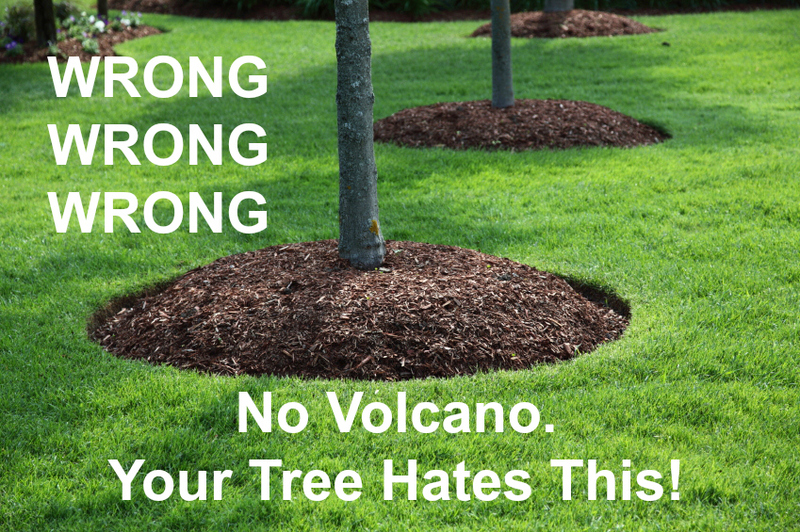 A heaping, volcano-like pile of mulch can slowly deprive your tree of key nutrients and result in stunted growth and other issues. A thin layer of mulch, no deeper than 3”, is all this is required. Emma Tree Service offers trimming, tree planting, shrub trimming, tree removal and stump grinding as well as tree health evaluations. Contact us If we can help with any of your tree care needs. We’re 2 weeks into the fall season which means it is the perfect time to assess and prepare your trees for the coming winter. Granted, San Diego “winters” are mild compared to most of the country. However, increased rainfall, higher winds and cooler temperatures create potentially stressful conditions that may impact the health of your trees or even cause them to become a hazard. Hydration: Hot temperatures and lack of rain in San Diego are a combination that can severely weaken trees and make them more vulnerable to disease and pests. If you’ve failed to consistently water your trees through the summer, be sure to water your trees deeply using a deep soaker hose or drip irrigation system to ensure the water is reaching and quenching your tree’s roots. Trimming and Pruning: Fall is an ideal time for tree trimming and pruning dead wood from your trees. Weak, dry or dead branches can break and fall in winter’s windy and rainy conditions. By performing tree trimming and pruning now, you can avoid these tree emergency situations. Trimming away these dead branches increases the health of your trees by allowing the tree to more efficiently use the nutrients it is receiving from the soil. Fertilize: After a hot, dry summer, San Diego trees have often lost important nutrients. To ensure your trees not only survive but thrive through the winter, a slow-release tree fertilizer (tree spiking or guying) should be applied to replace lost nutrients and to feed your trees through the winter. Tree fertilization will also improve your trees’ resistance to damage from disease, insects and other tree problems. Fall Tree Planting: Even though springtime is thought of as the season of new growth, early fall is actually the opportune time for tree planting. Because temperatures are cooler than in summer and there is typically more rainfall, newly planted trees are less stressed from high temperatures, drought and sun scorch. This gives newly planted trees the opportunity to build root structure and prepare for the winter months. 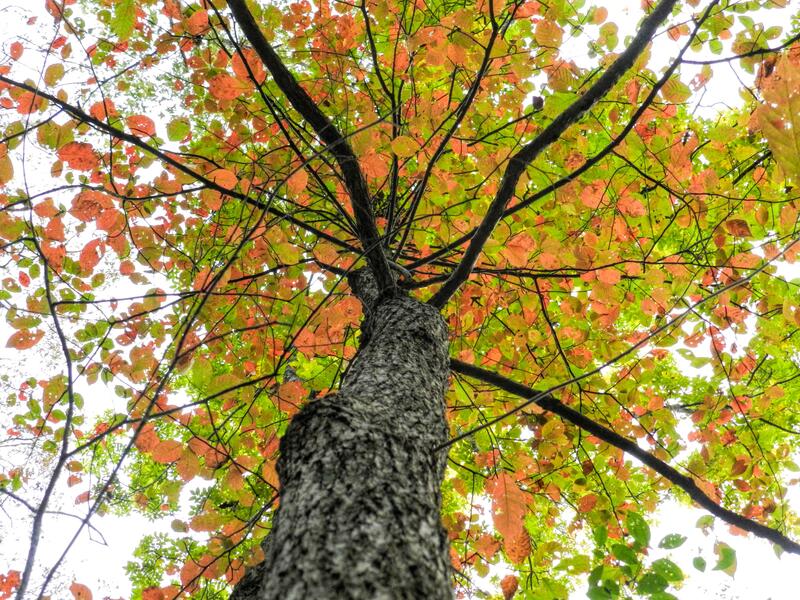 Fall tree preparation can help prevent tree problems and potential tree removal, and prepare your trees to grow and bloom for a beautiful spring. 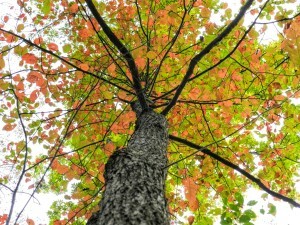 If you need help or advice with your fall tree preparation, contact us today for a free tree service estimate.